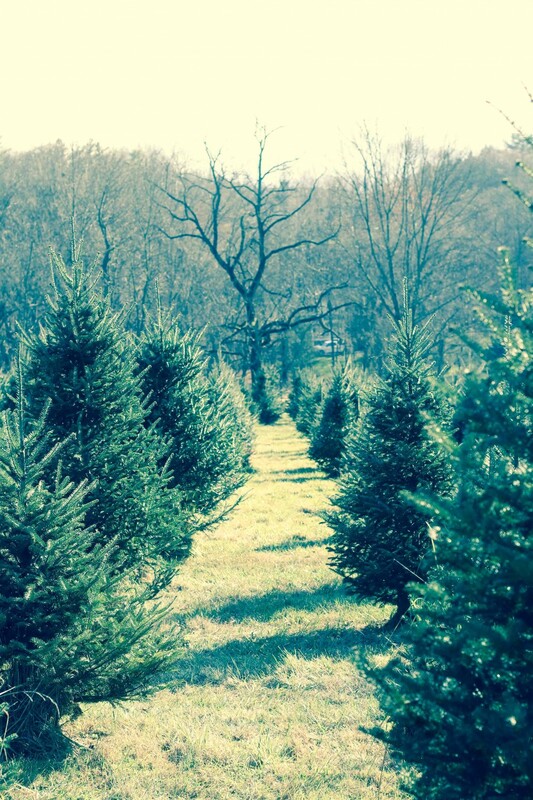 Just down the street from our home lies a lovely, family-owned Christmas Tree farm. In spite of this, we have opted for an artificial tree the last few years primarily because of my son’s tree allergies. 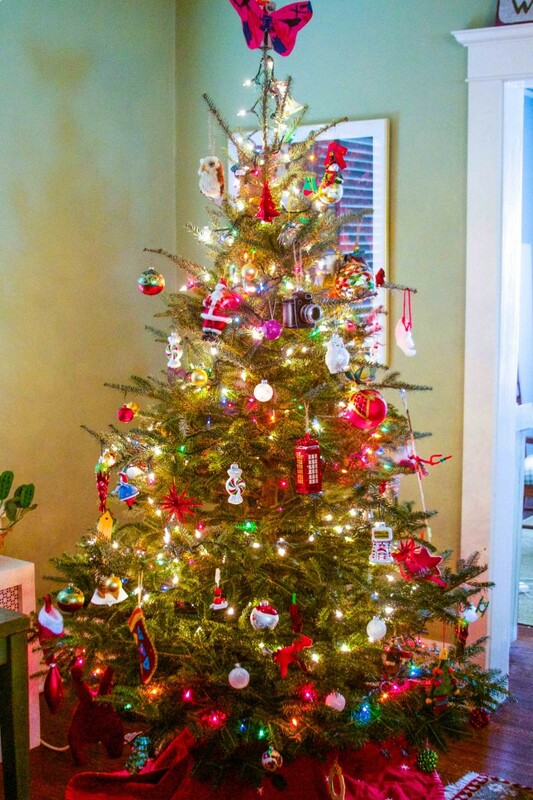 But, I will admit, another factor is the artificial tree is “pre-lit”. Yes, the convenience trumped the natural beauty of the real thing – at least until now. 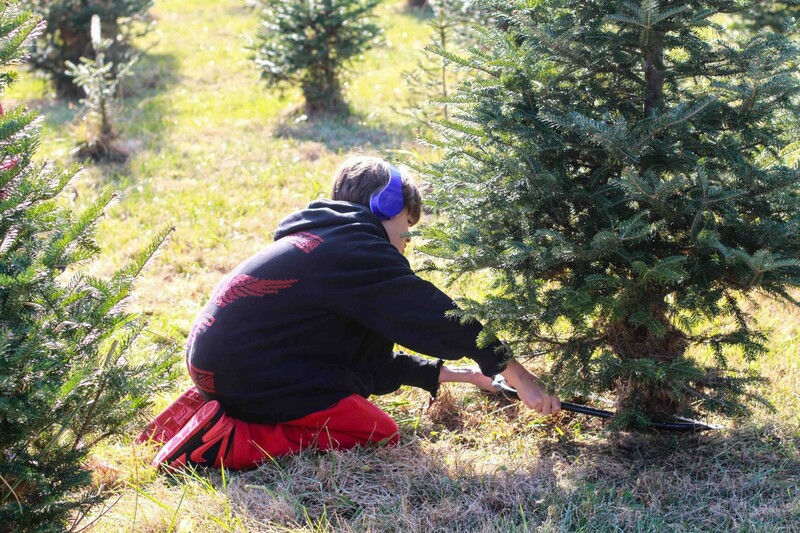 This year we decided to take a chance with the allergies and opt for the full cut-your-own-Christmas-Tree experience. 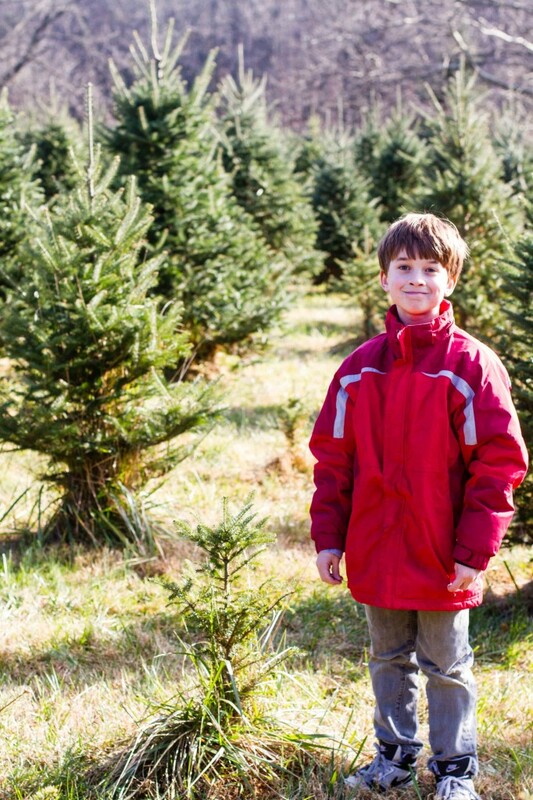 Nathaniel found a “little tree”. His little tree reminded us of Charlie Brown’s Christmas Tree. 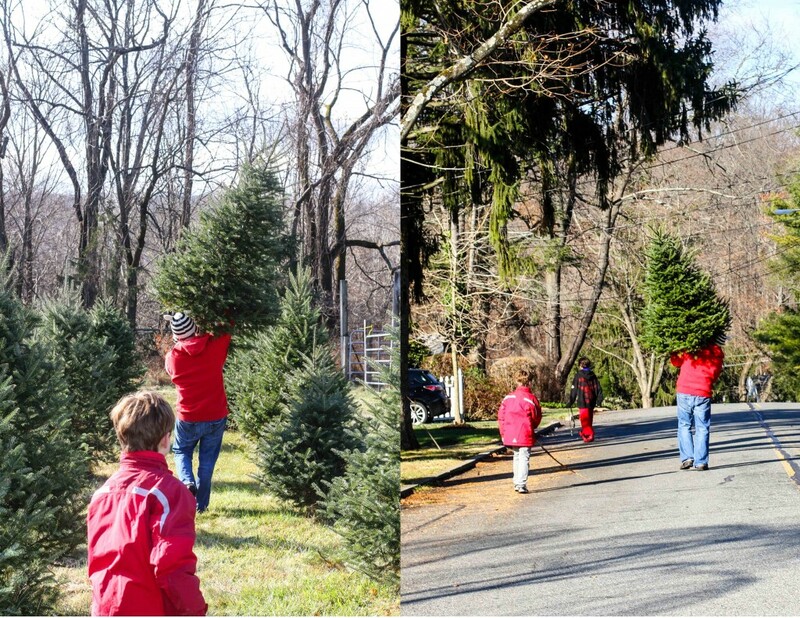 We ultimately chose a larger tree and the boys took turns (with close supervision!) cutting it down. The tree farm is close enough we could walk home with our tree. 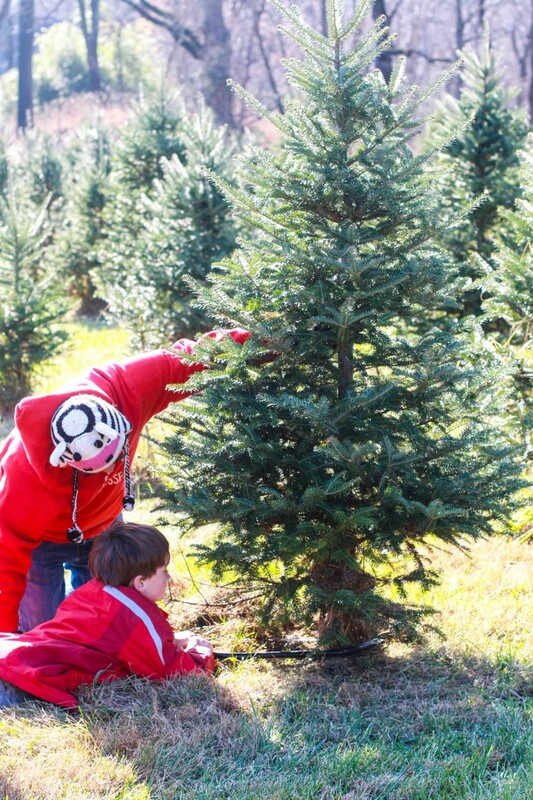 We really had fun with cutting our own Christmas tree. It looks and smells great and I’m pretty sure we will be tossing out the artificial tree and going natural from now on. 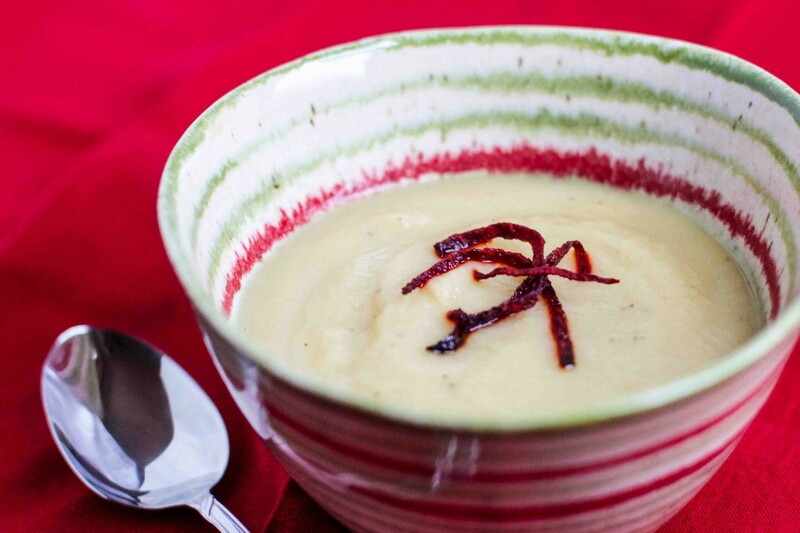 Today’s recipe for Parsnip and Celeriac Soup is inspired by a local restaurant. Their parsnip soup is served with colorful little fried root vegetables sprinkled around the white plate. The soup was delicious, the presentation was beautiful and when we discovered that putting the crunchy root veggie sticks into the soup we decided we had to learn to do this at home. My parsnip and celeriac soup is topped with fried beet matchsticks because 1) they are delicious and 2) the red color is very festive and fun. It would make a great soup course for holiday celebrations or something to warm you up after a chilly day – maybe even after cutting down your own Christmas tree! Melt the butter (or ghee) with the olive oil in a large stock pot. Add the leeks and cook on medium high for about 5-8 minutes or until leeks are soft, stirring frequently. Add the garlic and continue to cook until the garlic is fragrant (about 1-2 minutes) being careful not to let it burn. Add the parsnips, celeriac, salt, pepper to the pot and cook along with the leek mixture for a couple of minutes. Add the stock and water and bring to a boil, then reduce to a strong simmer. Cook until the parsnip and celeriac pieces are soft, about forty-five minutes to one hour. Purée using an immersion blender, or let the soup cool to room temperature and use a blender to process until smooth. Taste the soup and adjust the seasonings and add more stock or water if it is too thick – cook down a bit more if too thin. 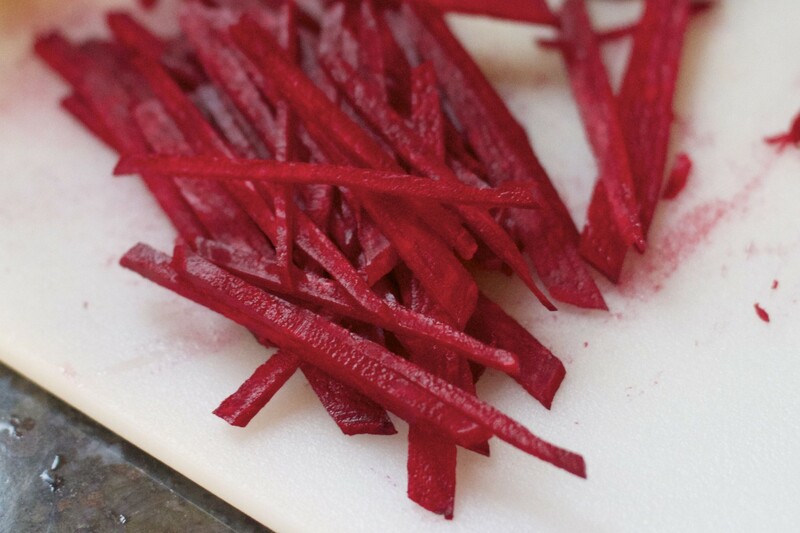 Peel the fresh beet and slice into matchsticks. Heat about 1/2 inch of oil in a frying pan. 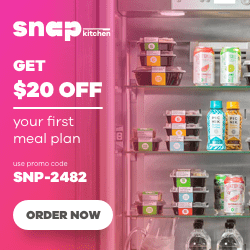 When the oil is hot enough for frying (a tester beet matchstick will sizzle when dropped in) place a layer of beet matchsticks in the pan and fry until crispy – you may have to turn the heat down to keep from burning them. Drain onto a paper towel and reserve. Serve the soup warm. Add the fried beets just before serving. 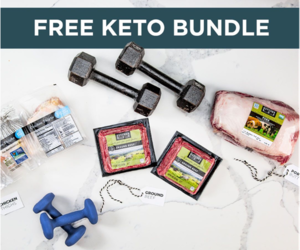 Makes about 10 servings. 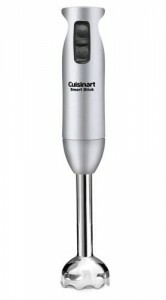 This week I am giving away a Cuisinart CSB-75BC Smart Stick 2-Speed Immersion Hand Blender. You can use it to make the Parsnip and Celeriac Soup or Paleo Mayo and many, many other recipes. Winner will be announced on Facebook on Sunday, December 15th, 2013. If you would like to receive e-mail notifications of new posts just enter your email address below. You will receive a confirmation message to activate your subscription. If you don’t see the confirmation message check your spam folder. You can unsubscribe anytime. 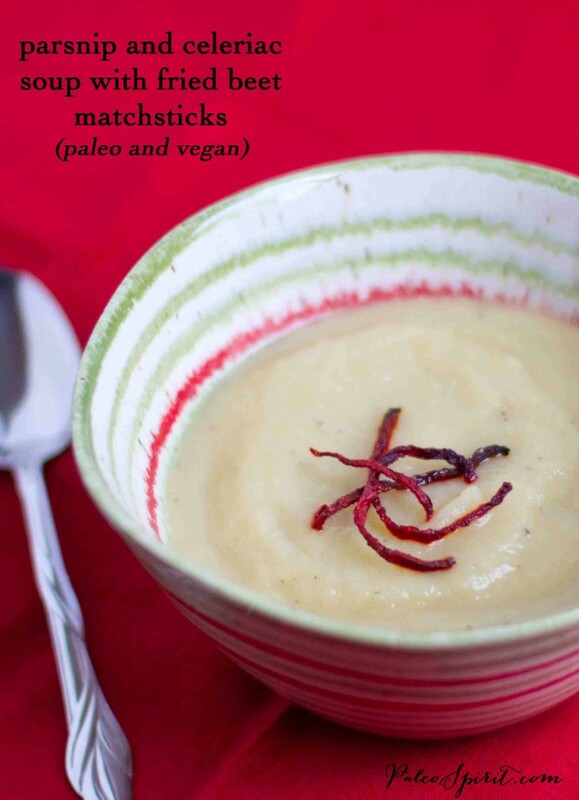 51 Responses to "Parsnip and Celeriac Soup with Fried Beet Matchsticks (plus Giveaway)"
I like to make sure I eat something healthy before going to any holiday parties, so I won’t overeat. My favorite soup is spicy tomato basil. You simply cannot go wrong! This soup sounds delicious! I’ll have to try it out some time. Also, my favorite soup is the hearty chicken and green chile soup my boyfriend makes. It’s superb! And finally, I plan to keep healthy over the holidays by having a small feast at home, just the three of us (boyfriend and me, and the kiddo). Minimum of stress, hearty, healthy, delicious foods, and lots of smiles and laughter. My favorite soup is homemade chicken zoodle soup! The beet matchstick fries sound yummy,love beets. Chicken soup is my favorite. I’ll eat my favorites in moderation. Also try to make new tradition without food. I don’t have a problem saying NO to junk. Ive learned way too much. Vegan butternut squash soup and of course chicken soup is medicine for just about everything. I always make sure to eat before I go anywhere because I have gluten and dairy allergies as well as bringing a healthy dish with me. Don’t go hungry and have the veggies ready-to-eat! Love butternut squash and Apple soup! My favorite soup is roasted butternut squash. I will stay healthy over the holidays by eating something nutritious before going to a gathering and also by bringing healthy dishes to share. I love tomato basil soup. Spicy makes it sound better. I need the recipe. Potato leek soup is my favorite at the moment. I really love pumpkin soup!!! I plan on staying healthy over the holidays by loading up on the healthy stuff first and allowing myself 1 to 2 small treats. And hope to do a ton of skiing as well. I love creamy tomato soup!!! I love any type of squash/pumpkin soup! We are going to get our tree this weekend. I’ll have to try this soup for a yummy lunch after! Love tortilla soup! Next would be tomato basil! My favorite soup is not paleo friendly, but I love Wid Rice Soup from Byerly’s. Tortilla soup, next is tomato soup. I will eat less junk, drink plenty of water and hopefully excercise. so far our favorite soup is chicken and broccoli made in the crock pot. when you cook the broccoli all day in crock pot it breaks down and makes the soup nice and creamy! My favorite soup is butternut squash and I like to make it spicy! Sometimes I find it difficult to stay healthy during the holidays, because I have a crazy sweet tooth. In the fall and winter, I crave pies and cobblers so much that I start dreaming about them! So what has helped me is loading my grocery basket with healthy carbs that keeps me satisfied- squash, apples, and vegetable roots. And adding spices like cinnamon, nutmeg, and garam masala keep me warm all throughout the season. Chicken with wild rice soup! This sounds yummy. And, I love to eat and make a good spicy chicken and veggie soup. Although I haven’t made one yet, a great beef stew is another. I love pumpkin soup, chicken soup, egg soups, Thai soups….too hard to pick just one! I love the photos of the tree cutting. Awesome family tradition. My favorite soup is anything made with my super wonderful chicken bone broth! Mexican tortilla or cream of broccoli. love smoked ham with bean soup & lots of veggies from our garden in it! Last night I made your Parsnip Celeriac soup. Deeeeevine! 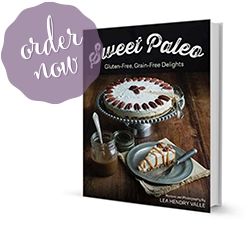 I recently received Sweet Paleo. I ordered it from Barnes and Noble. Brilliant, Beautifully photographed, Beautifuly written and Bursting with amazing recipes.